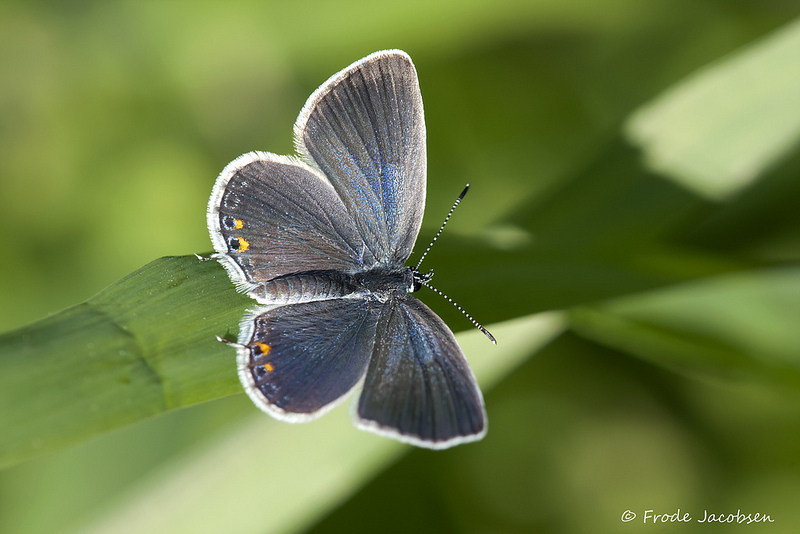 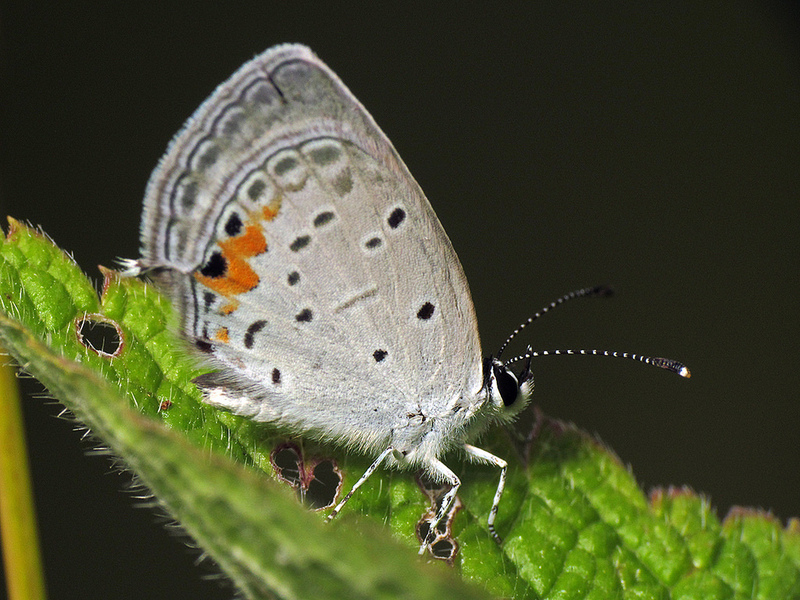 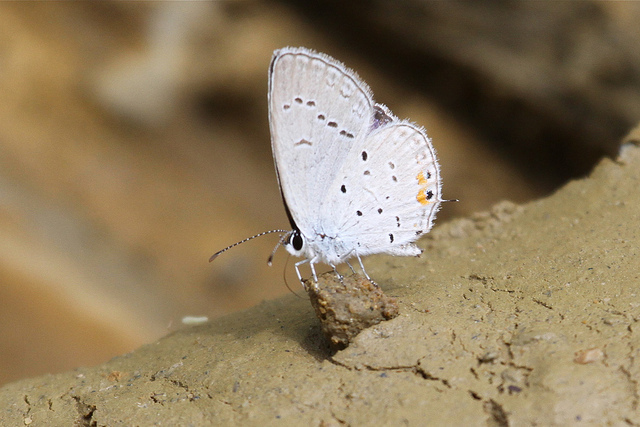 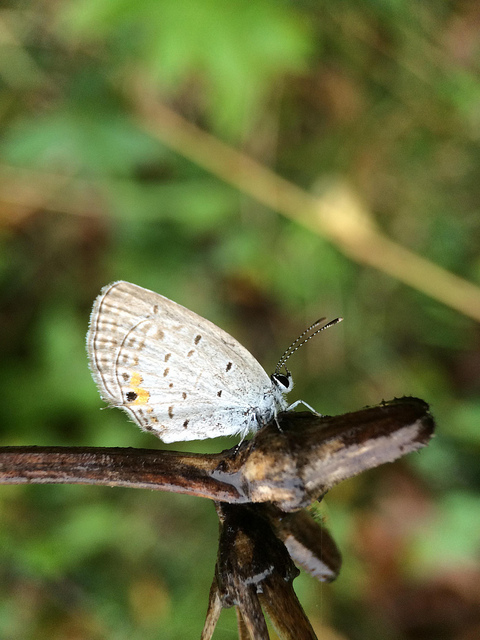 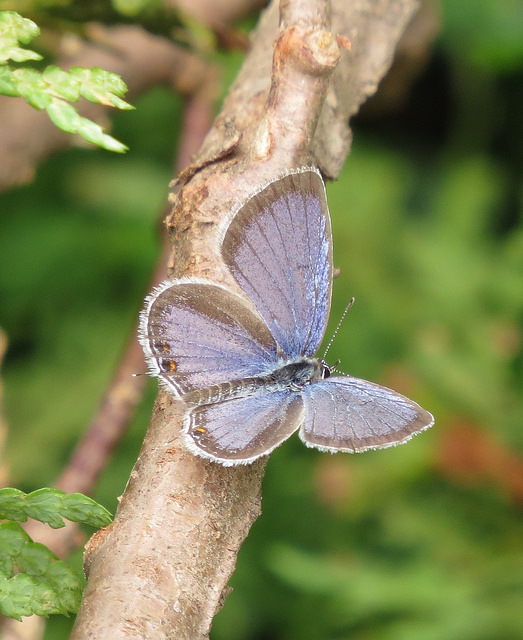 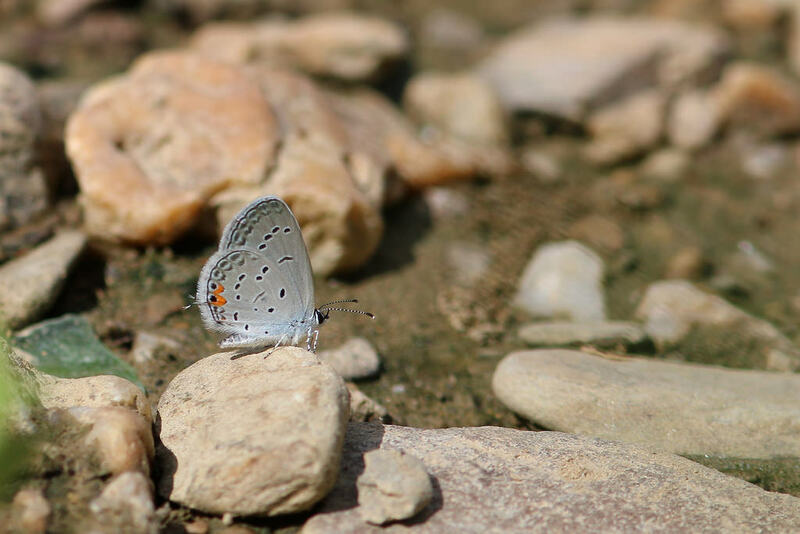 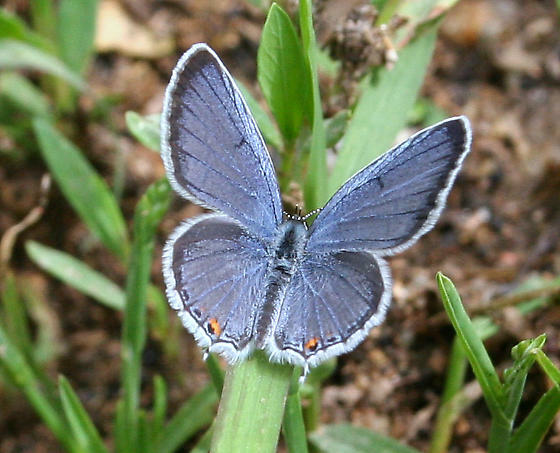 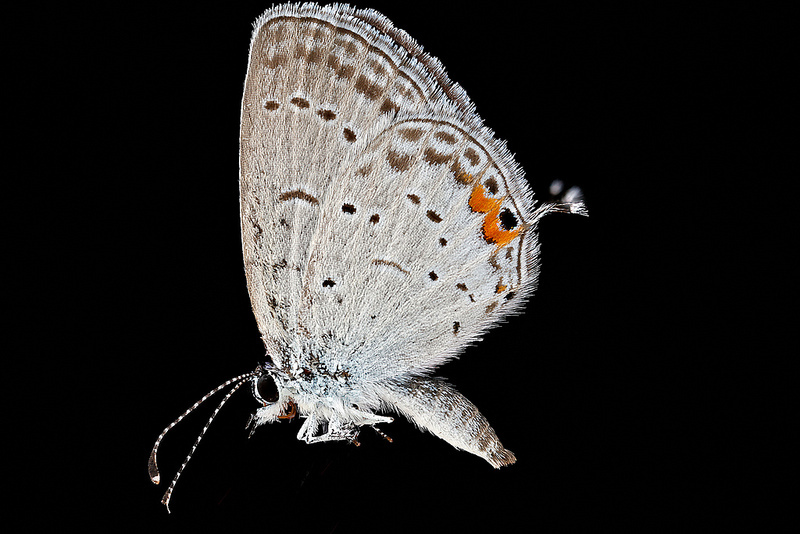 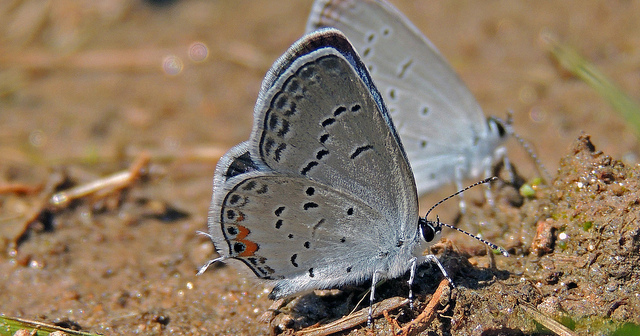 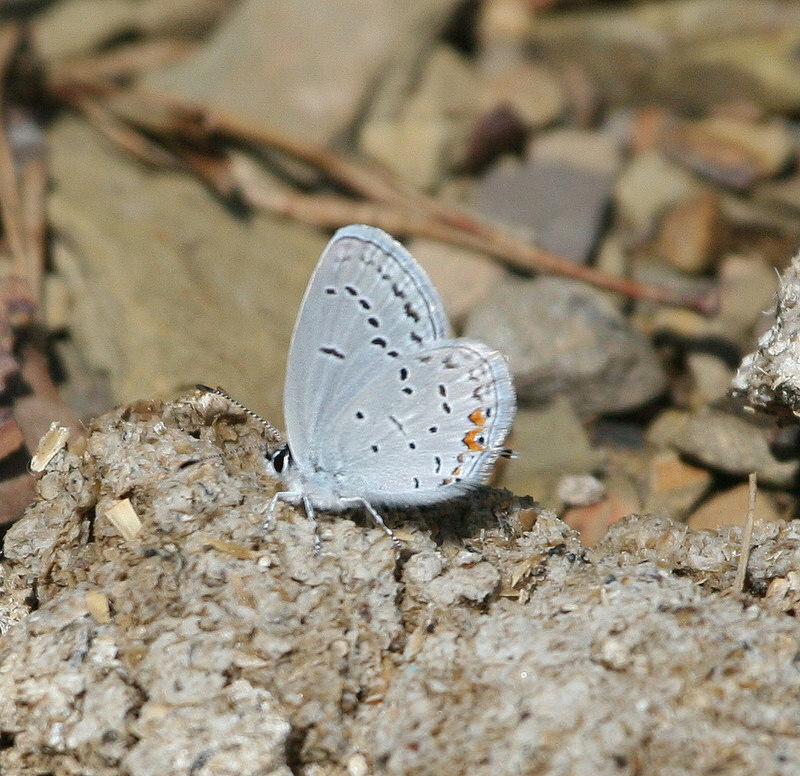 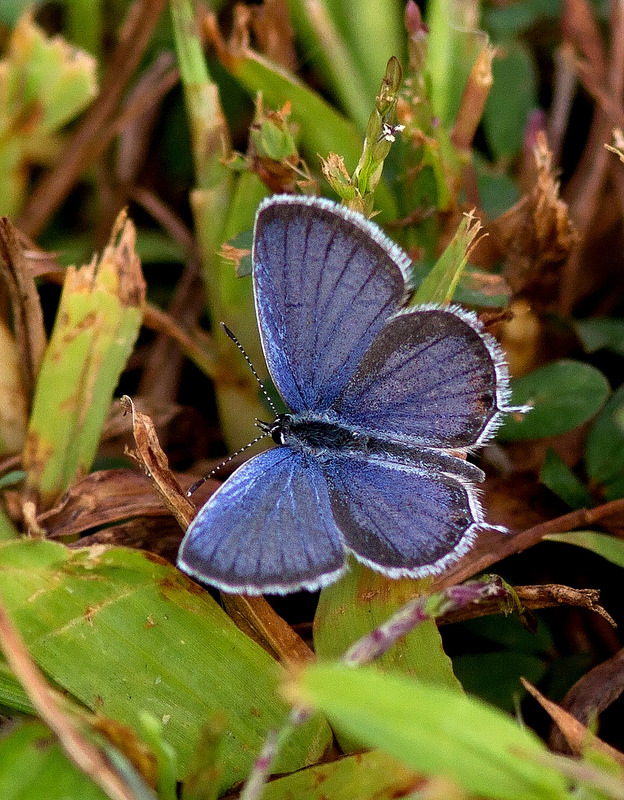 Eastern Tailed-Blue Cupido comyntas (Godart, ) Synonyms: ETB, Everes comyntas. 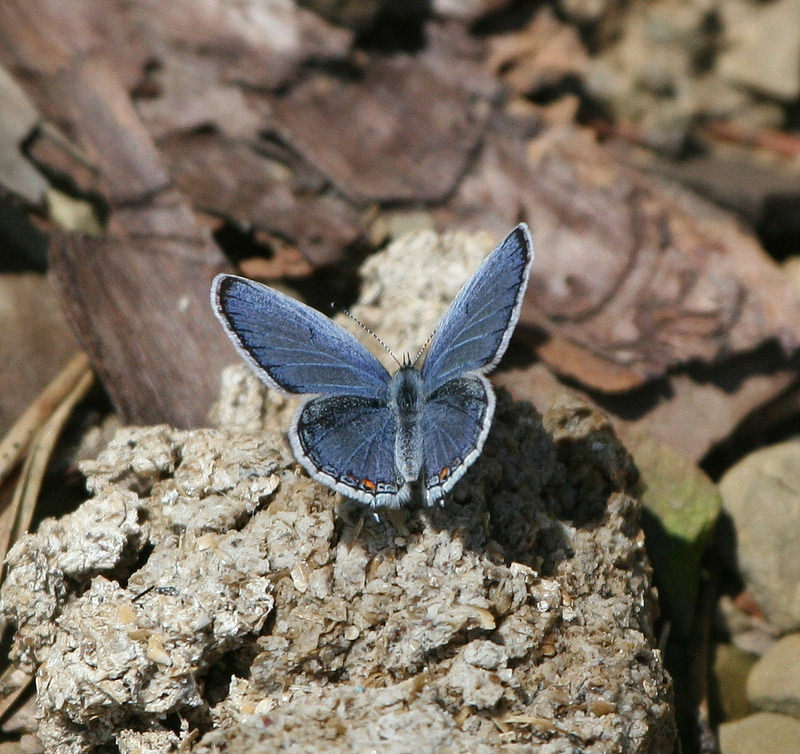 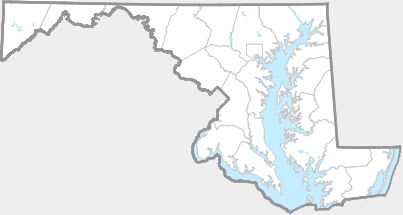 One of Maryland's most common butterflies that can be found throughout the state. 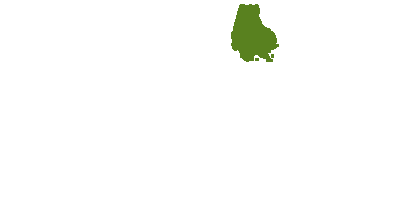 Flies from early April through October. 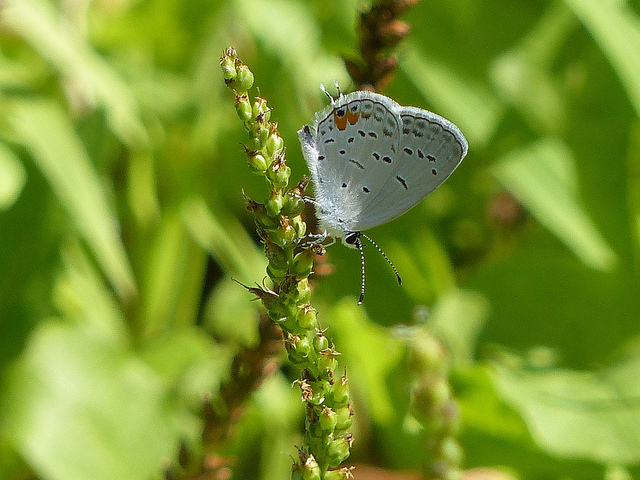 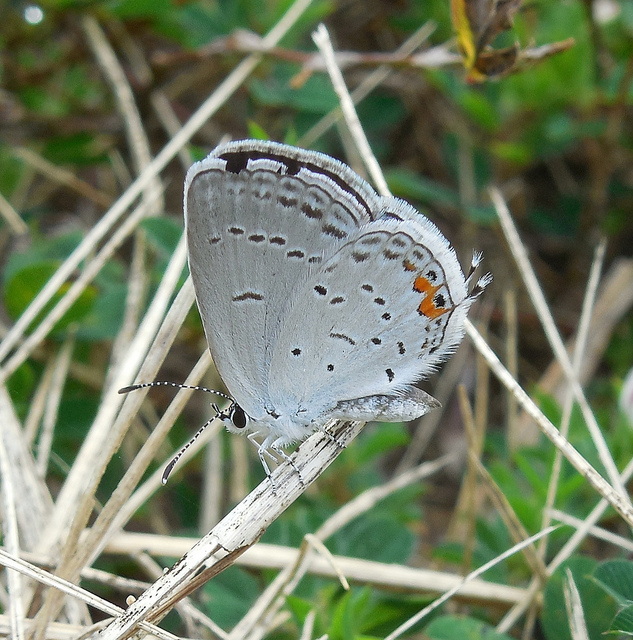 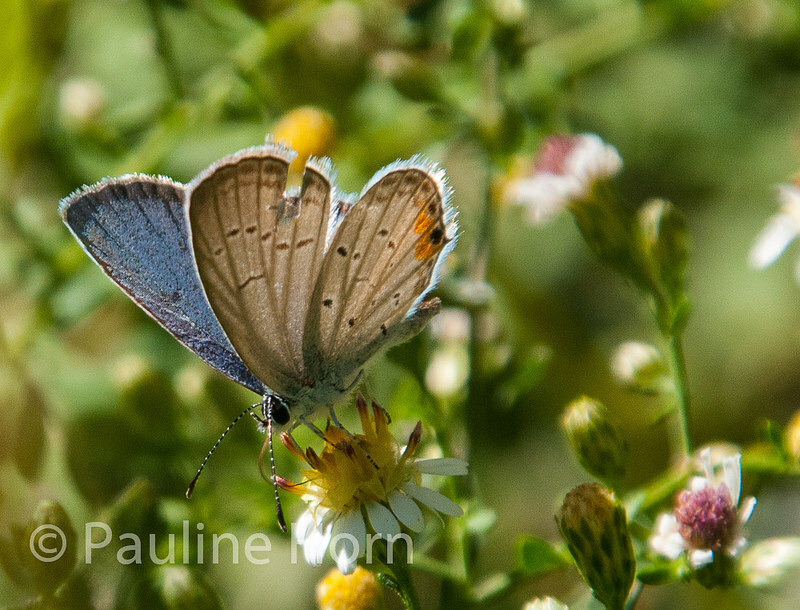 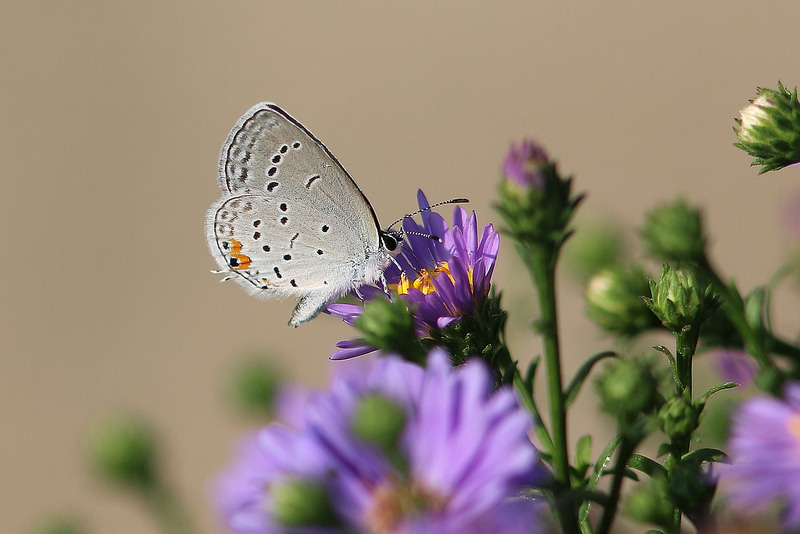 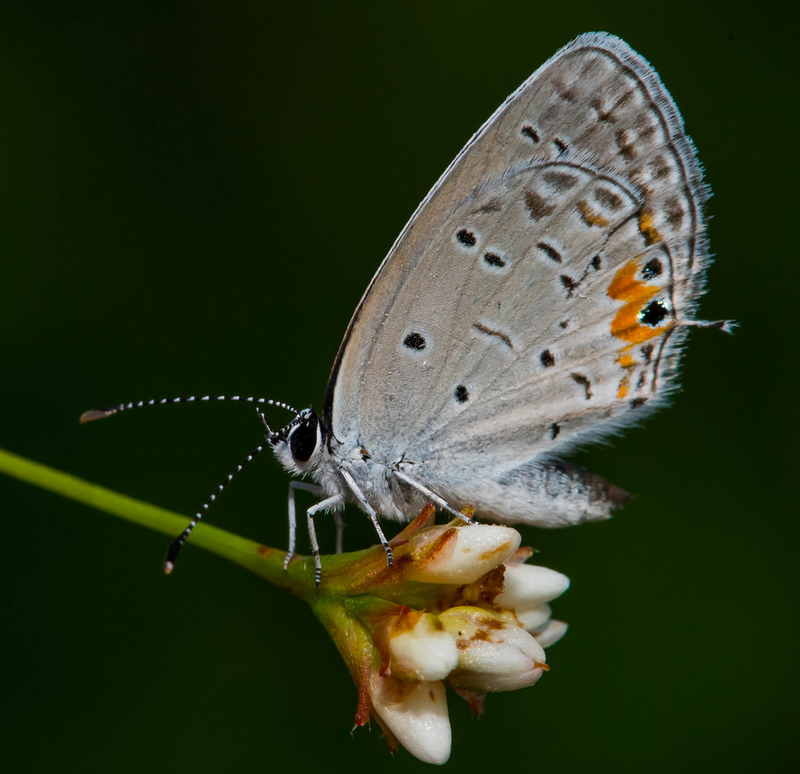 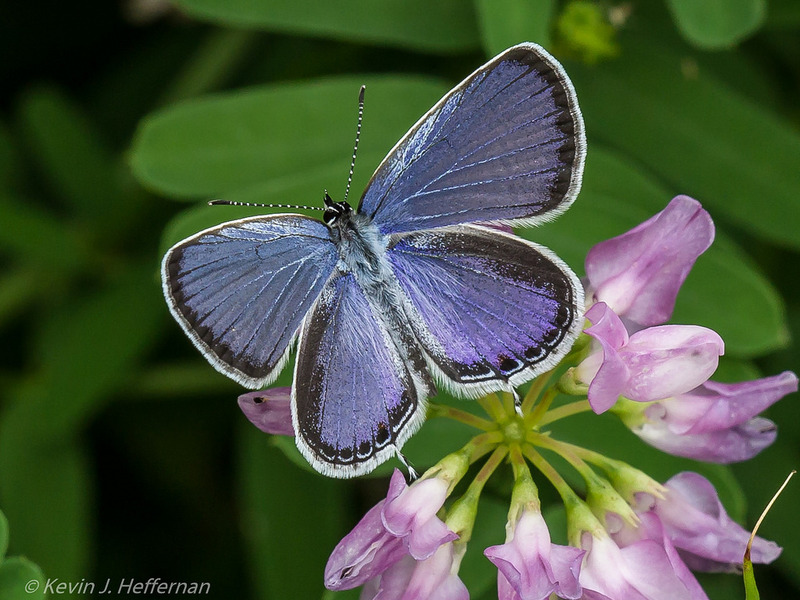 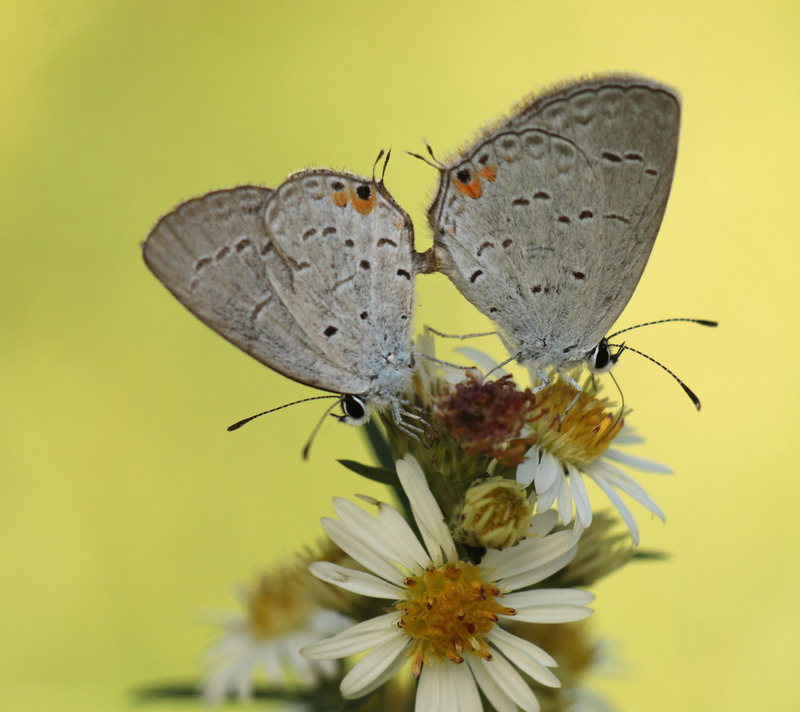 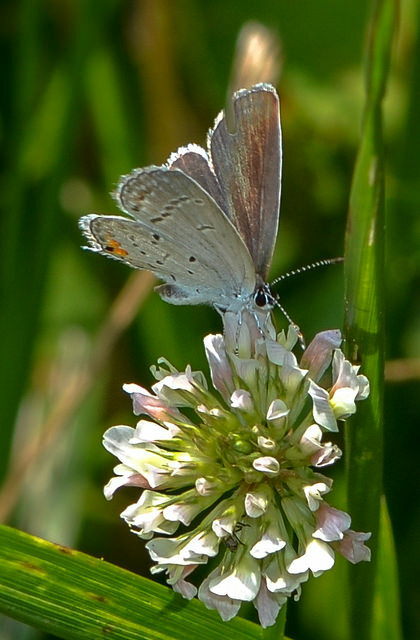 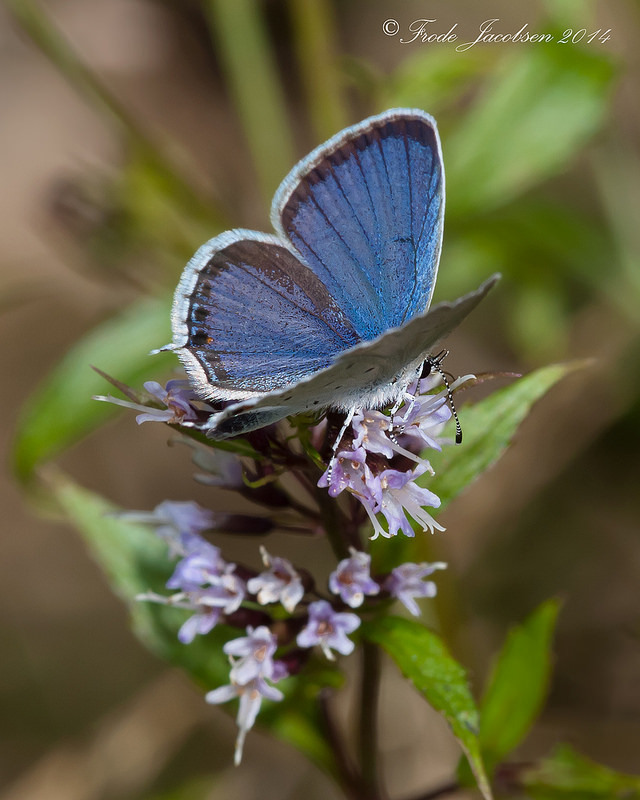 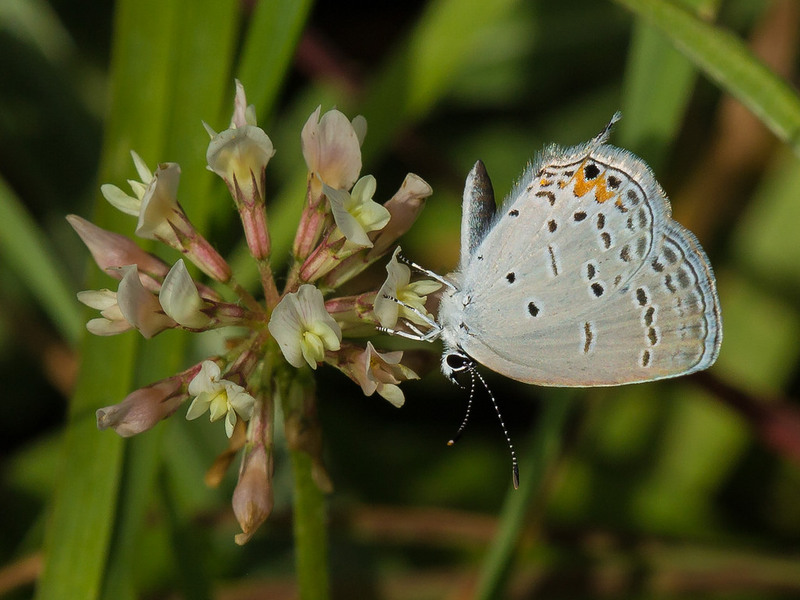 Look for this diminutive butterfly nectaring on clover or other flowers in any open area across the state. 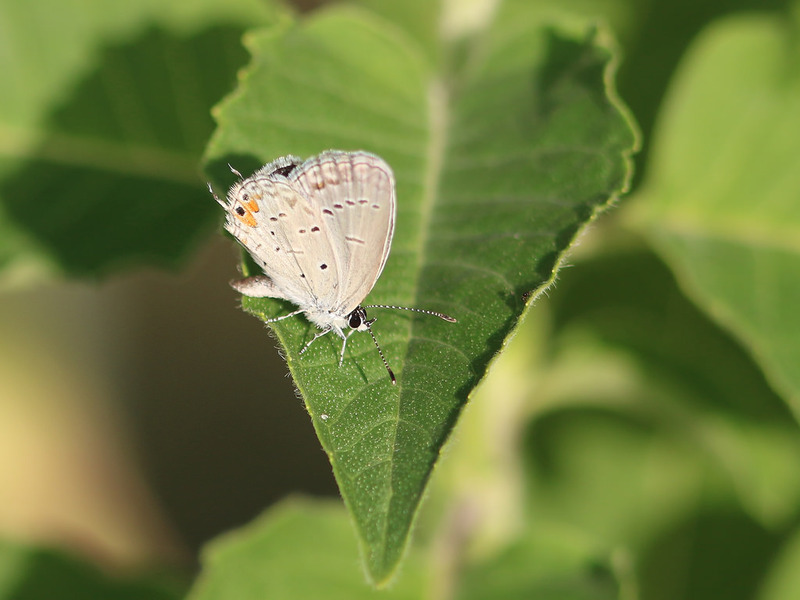 Often found in lawns and urban areas. 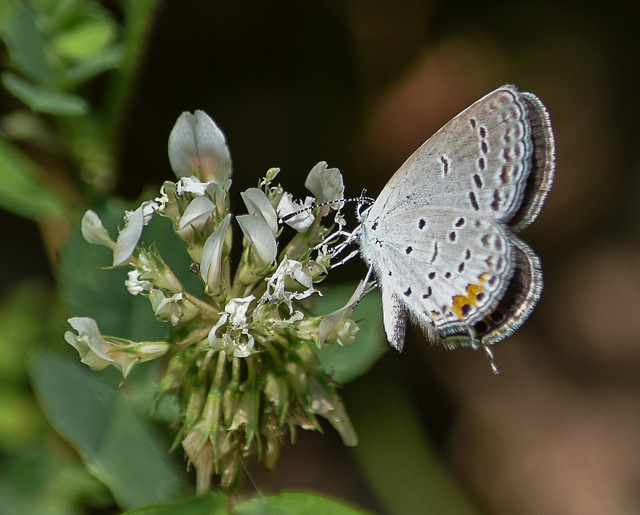 Host plants include various species in the Pea Family (Fabaceae) including Red Clover, White Clover, and Bird Vetch (Bugguide). 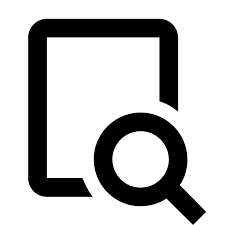 There are 875 records in the project database.